Closer contact with, and awareness of, the animal in me -- "the soft animal of [my] body, lov[ing] what it loves" -- engenders a greater respect for my fellow beings who, with me, share the burdens and the glories of "the mammal condition," "the warm-blooded condition," or "the vertebrate condition." Heightened self-awareness leads to greater respect for my fellow vertebrates, and greater respect for my fellow vertebrates heightens my self-awareness. Where will deepened awareness of our animality take us? 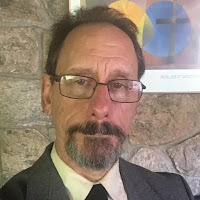 There is an emerging theology of nature that seeks to honor wildness as sacred – to connects in wonder to the aliveness of the world, from the enchantment of birdsong to the marvel of the moon. To consciously cultivate self-awareness of animality is to become more present, to become more attuned to the nuances of the unexpected. Inner tensions and cognitive dissonance characterize much of human relationships to other species. We treasure wildlife, yet almost all of us, me included, find it really hard to stop the sort of spending habits that we know are causing a wave of extinctions. 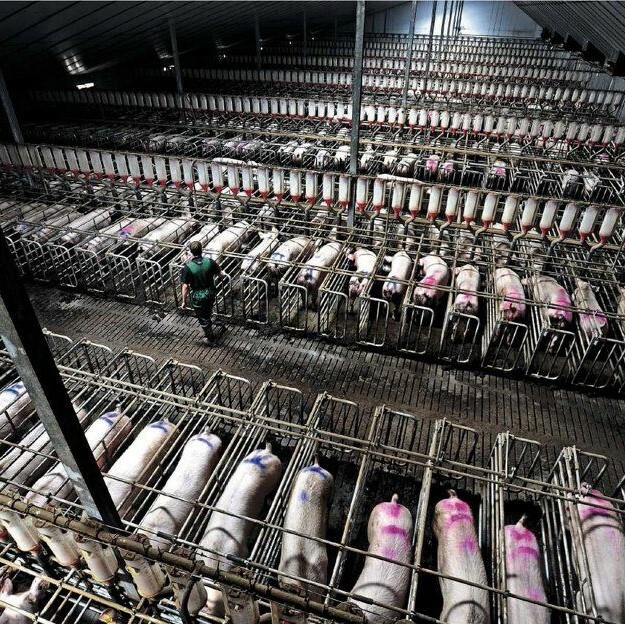 Many of us are outraged by abuses of dogs and cats, yet we eat food that comes from an industry that keeps equally sensitive and intelligent animals crowded in atrocious confinement. The meat industry, in the US alone, each year, slaughters 35 million cows, 105 million pigs, and almost 9 billion chickens. People of good will have different opinions about this, different strategies for dealing with the cognitive dissonance. The view I have come to is that the slaughtering is not the problem. Putting them out of the unremitting misery and pain to which factory farms consign these animals for all or most of their lives is the kindest thing we do for them. It’s not that they die that is the issue. We all die. It’s the life that matters. 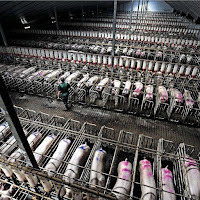 What those numbers mean to me is that every year the US meat industry is bringing 35 million more cows, 105 million more pigs, 9 billion more chickens into lives of constant agony. We know enough about cow and pig and chicken physiology to know that what is going on in them parallels what goes on in humans under conditions of great pain and stress. The conditions at factory farms constitute the biggest, harshest, most painful ongoing cruelty on the planet. The intensity of the suffering and the vast, vast scale of it can bring me to weep – when I’m not pushing it out of my mind. My concern with the life rather than the death has a parallel in Unitarian theology and history. Four hundred years ago, Unitarians turned away from the prevailing European emphasis on Jesus’ death as the atonement for our sins. Sixteenth-century Unitarian theologian Faustus Socinus settled among our early Polish churches. His extensive works laid out a theology that told us, look to Jesus’ life, what he did, what he taught. It is the quality of his living that needs our attention, not his death. For the factory farmed animals today, I believe, it is the quality of their lives that needs our attention, not the fact of their death. For me, then, deciding to be vegetarian has been a path toward greater self-awareness. When I no longer had to push certain knowledge out of my mind just in order to have lunch, then I was just a little bit more available to love and respect the creatures of my world. When my food choices no longer supported the harshest ongoing cruelty on the planet, then I was a tiny bit better able to respect and honor my whole self -- including the parts of me that are just like them: the pain receptors; the adrenaline, fear, and stress; the creature comforts, if they could get them -- they all work in me as they do in them. Thus I was better able to be present to all the animal that I am. Should we worry about nonhuman animals when there are so many human animals suffering – when human trafficking, starvation, oppression calls for our attention? I believe there is just one evil: call it dominance. Call it the social disease of hierarchy. Let's look at some human history to see how this came about. 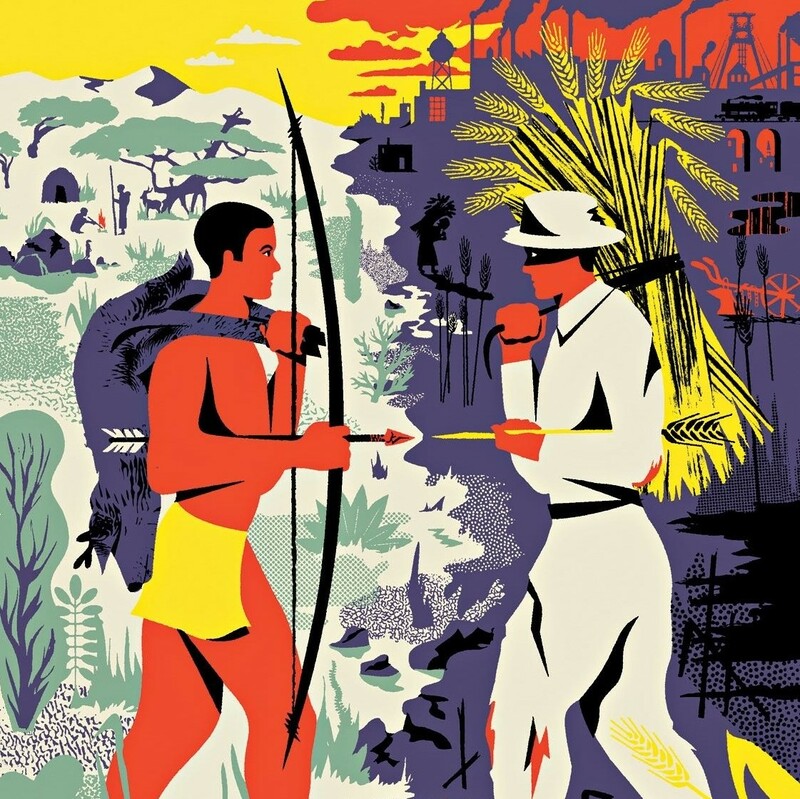 Our forebears for 95 percent of human history were hunter-gatherers. 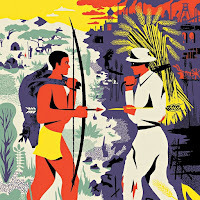 I don't want to romanticize these ancestors: hunter-gatherer life was often difficult, and sometimes violent as tribes went to war against each other. As for their basic arrangements of governance, though, it was not such a bad deal. Hunter-gatherers had leaders, but those leaders had to be in a caring and accountable relationship with those they led. NEXT: We don't have to choose which oppression/injustice to pay attention to. They ALL come from the dominance mindset. This is part 2 of 3 of "On Being Animal"